With an EPA fuel economy rating of 21 mpg in the city and 25 mpg on the highway, the 2015 Toyota Tacoma proves to be an efficient daily-driver. Although a V-6 engine is offered, the four-cylinder engine is clearly the most efficient option. Some of this truck’s standard features include an anti-lock braking system, a five-speed manual gearbox, a four-speaker sound system, and electronic traction control. The 2015 Dodge Ram 1500 offers two very efficient engine choices. Despite the V-6 engine’s strong performance, it still manages an impressive fuel economy rating of 25 mpg on the highway. On the other hand, the optional Eco-diesel engine is rated at 20 mpg in the city and 28 mpg on the open road. 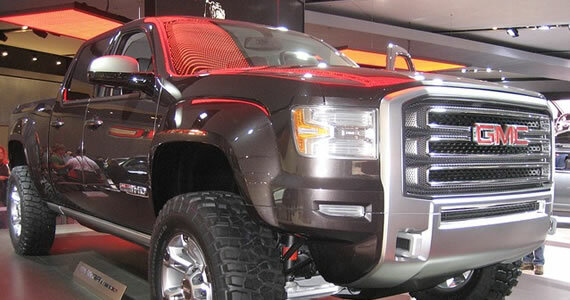 According to Topspeed.com, the diesel-powered Ram 1500 actually delivered 33 mpg when cruising along the highway. For good reason, the F-150 has remained the top-selling truck in America. In an effort to boost gas mileage, all F-150 models are now constructed using lightweight aluminum. While the F-150 offers several engine choices, the new 2.7-liter EcoBoost engine has been specially tuned for efficiency. Gas mileage stands at 19 mpg in the city and 26 mpg on the highway. Amazingly, the 325-horsepower engine is strong enough to tow about 8,500 pounds. Equipped with a peppy four-cylinder engine, the newly-redesigned GMC Canyon offers an exciting blend of power and efficiency. Drivers can expect to get 20 mpg in the city and 27 mpg on the freeway. As a testament to the 2015 Canyon’s outstanding performance and build quality, Autoweek named the Canyon as their “Best of the Best Truck”. Some of the truck’s standout features include LED running lights and a rear CornerStep bumper. Featuring essentially the same chassis as the GMC Canyon, the 2015 Chevrolet Colorado also offers excellent gas mileage. While the four-cylinder model is rated at 27 mpg on the freeway and 20 mpg in the city, the V-6 version is almost as impressive. When fitted with a powerful V-6 engine, the new Canyon can still return a commendable 26 mpg on the highway. No longer do truck owners have to suffer from poor fuel efficiency. These five truck models will definitely keep fuel consumption to a minimum, while allowing you to get the job done. The information for this article was provided by the professionals at Tonka 4-Wheel Drive Ltd., who specialize in truck accessories in Edmonton. Today’s trucks aren’t your grandad’s rusted out old rig; they offer all the comforts of a highway car. These new trucks handle everything from towing trailers and hauling heavy loads to comfortable commuting and vacation travel for the whole family. With its car-like ride and luxurious interior, the Silverado handles daily commutes or long road trips in comfort. It can tow a trailer, carry a big load, or go off-road. Engine choices range from more economical 6-speed automatic V6s to an eight-speed automatic 6.2-liter V8 with a 12,000-pound tow rating. With a comfortable ride, widely-praised interior styling, and a well-designed cabin, the Ram’s smooth-shifting standard 8-speed automatic balances power with comfort. Choose 2WD or 4WD, V6 or V8, diesel or gas, and a variety of cabin styles and trim levels. The Ford 150 remains the best-selling truck in North America. This full-sized workhorse tows up to 11,300 pounds and carries 3,120 pounds, with a 81.3 cubic feet cargo box, several V6 and V8 engine choices, and a six-speed automatic transmission with a haul/tow mode. You can choose standard, extended or crew-style cabins. With a top-rated 20 mpg city and 27 mpg highway, the Chevrolet Colorado is the mid-size truck of choice for high-mileage drivers. With a choice of automatic or manual transmissions, V4 or V6 engines, and standard, extended or crew cabins, this versatile truck can carry up to 1,590 lbs. of payload and tow trailers up to 7,000 pounds. The Tacoma is an economical performer, compact enough to fit in small parallel parking spaces and navigate narrow jeep trails or sandy washes equally well. Its quickness and agility make it the choice for drivers who need to navigate both urban traffic and backcountry wilderness. The compact Nissan Frontier offers a low sticker price and good gas mileage. You can choose 2WD or 4WD, manual or automatic, and V4 or V6 engines, with a maximum 1,524 pounds payload and 6,500 pound trailer. It offers a state-of-the-art infotainment system including hands-free text messaging. Although you can research trucks on the internet, what matters most is how they feel on the road and how they suit your driving style. Expressway Dodge can configure trucks for your needs. Very few trucks can match the Dodge Ram 1500’s rare combination of brute strength and efficiency. The new EcoDiesel engine rewards the owner with a highway fuel economy rating of 28 mpg on the highway. However, the V-6 version of the truck is a tad bit cheaper to buy. 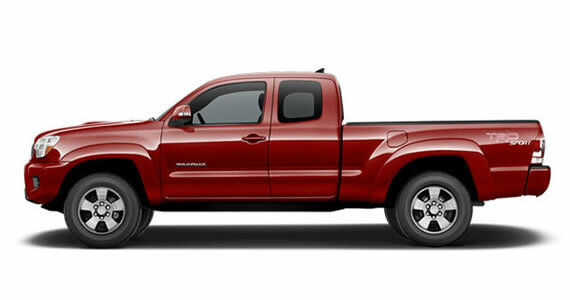 A brand new Toyota Tacoma can be obtained for less than $20,000. While its four-cylinder engine is not capable of pulling extremely heavy loads, it is perfectly suitable for light-duty applications. The driver will certainly appreciate the Tacoma’s gas mileage rating of 21 mpg in the city and 25 mpg on the highway. The Chevy Silverado’s new 4.3-liter, V-6 engine helps it to average 24 mpg on the highway. Amazingly, the base Silverado is still able to tow a commendable 7,200 pounds. The entry-level Silverado has all of the basic essentials, including a six-speaker sound system, air-conditioning, and Bluetooth phone connectivity. The 2014 Silverado, due to these features and its combination of high performance and high safety ratings, has been declared the 2014 Truck of the Year at the North American International Auto Show. While the Ford F-150 offers several engine choices, the 3.7 engine is the most cost-efficient option. The 302-horsepower engine revs with enthusiasm while returning a fuel economy rating of 17 mpg in the city and 23 mpg on the freeway. You will be hard-pressed to find a better pickup truck for $24,200. The F-150, as one of the most popular models on the current market, is both easy and inexpensive to repair, as you will experience no shortage of experienced Ford mechanics and replacement parts. 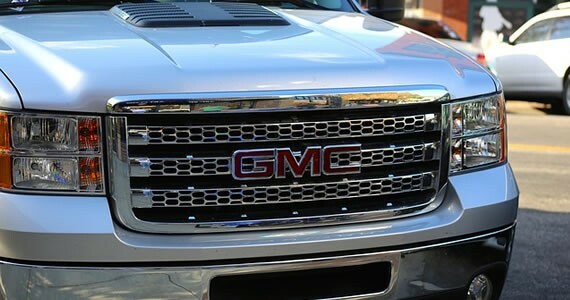 Based on the same platform as the Silverado, the GMC Sierra offers great fuel economy and unmatched durability. Although you will have to forgo options, such as a rear-view camera and remote starting, the Sierra can be obtained for as little as $26,000. One of the 1500’s best, most economical new features is its considerable lightness compared to other pickups in its class. This has significantly improved fuel economy, making the Sierra one of the most efficient vehicles on this list. The Nissan Frontier’s base price of $18,850 is very economical. When equipped with four-wheel drive, the Frontier transforms into one of the most capable pickup trucks on the market. The rear-wheel drive model, according to a Drayton Valley truck body specialist, is able to deliver an impressive 23 miles-per-gallon when traveling on the open road. 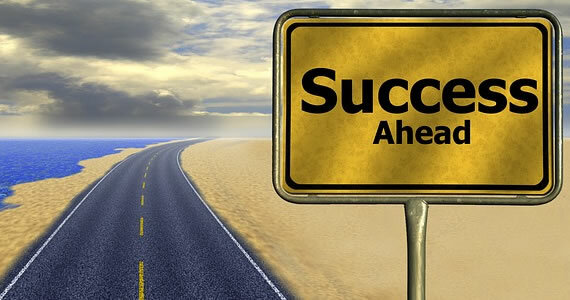 Becoming the owner of a pickup truck does not have to be a financial burden. Each one of these capable pickup trucks offers great gas mileage and an attractive price tag.